October 13, 2014 - Freddie Anderson stands out of the rain near a large fan while drying a sheet during the rain storm that came through Memphis. 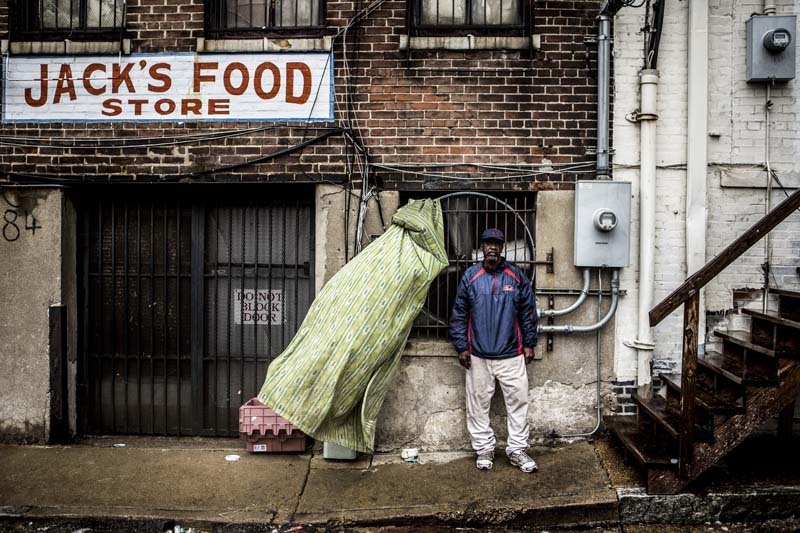 "It's tough on us out here," Anderson who has been homeless for the past eight months said. "It has sort of lifted me up though, knowing that I know how to survive."